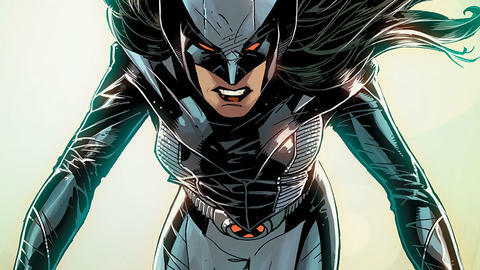 Laura Kinney faces a new challenge as her ongoing series ramps up! 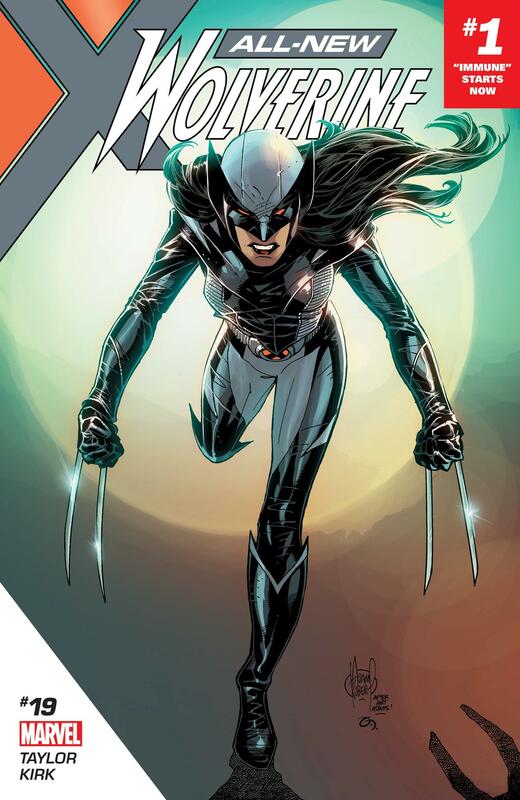 Writer Tom Taylor’s gearing up Laura Kinney—Wolverine—for a huge role in the Marvel Universe, and to do so creates one of the biggest challenges ever for the young mutant. When an alien space vessel crash-lands on Earth with an equally alien—and dying—child on-board that speaks Laura’s name with its dying breath, you know Wolverine’s world’s about to be turned upside-down. Add in a mysterious virus spreading like wildfire throughout an entire city and that city cordoned off by the government, and you’ll learn her life may never be the same. We caught up with ALL-NEW WOLVERINE writer Taylor to ask him why he’s putting Laura through all this. Marvel.com: Tom, why the big story as Laura enters ResurrXion? Tom Taylor: It’s partly about the end of “Enemy of the State II,” and where we find Laura after that. I won’t ruin that here, obviously, but it’s a place I’ve wanted to get her to all along. I think long-time fans of Laura Kinney will completely understand. Marvel.com: You’ll be joined on ALL-NEW WOLVERINE by artist Leonard Kirk. What do you think he brings to the series? Tom Taylor: Leonard is just incredible. I’m very glad [editor] Mark Paniccia brought us together for this. Every thumbnail I’ve seen, every sketch, has so much going for it. How he draws Gabby and Laura together, in particular, has had me grinning ear-to-ear. There’s so much heart and nuance to it. He’s a guy who can just do it all. He’s just as strong with action, emotion, and comedy. His characters are alive. We’re very lucky to have Leonard for the long-haul on this one. Marvel.com: Let’s get into the story: at first, how does the super hero community respond to the crisis? Tom Taylor: With the entire world threatened by an alien virus, the super hero community responds very quickly. The mystery of how the virus is connected to Laura has everyone racing to her for answers. This one is big. This is an entire event in one book. I can’t remember writing something so epic for one hero before. Marvel.com: What’s the virus like? How does it spread and impact people? Tom Taylor: The virus is highly contagious, and very deadly. It threatens the entire world, and there’s a ticking clock over our whole story. Marvel.com: What kind of support, of any kind, do the other X-Men offer Laura? Tom Taylor: Outside the contagion zone, everyone is coming together to find a solution, and the world’s best minds, including some X-Men, are working remotely, trying to help those trapped with the virus. But Laura will be pretty alone on the ground [as she goes in]. Marvel.com: Wow—will she be working totally alone? Is there any support structure at all in place for her going in? Tom Taylor: Aside from the remote help, there are others inside the city working to find a solution, but they’re mostly in the same danger from the virus as the rest of the populace. They won’t be able to help for long. Those who’ve been following the series to this point should know that it won’t all be doom and gloom though. Despite the dire situation, there will be room for entertainment, and some big surprises are coming. Marvel.com: Okay, but what kinds of threats might we expect for her in the city, other than the virus? Marvel.com: In the end, how will this ultimately test our Wolverine? Tom Taylor: This could be Laura’s greatest test ever. Essentially, she’s powerless in the middle of so much suffering, but many will be looking to her with questions she can’t answer, and salvation she can’t offer. Adamantium claws are useless against a contagion. You can’t stab a virus. Wolverine will need to be a different kind of hero. Follow Marvel.com and our social channels for the latest on ALL-NEW WOLVERINE and the rest of ResurrXion!